In April 2017, Australia’s Department of the Environment and Energy began its formal consultation process with the Roundtable on Food Waste. Government officials met with leaders from the private sector, non-profits, and academia to develop a National Food Waste Strategy with the goal of cutting national food waste in half by 2030. The resulting strategy outlines specific steps that the Australian government will undertake over the next two years in order to reach that goal. Specifically, it provides funds for the development of an implementation plan as well as a comprehensive monitoring system. The Australian government has already invested $10 million toward research related to reducing food waste, and it has invested $1.2 million in food rescue organizations. 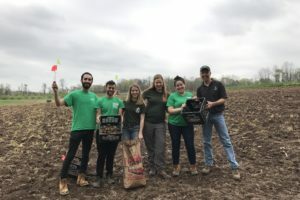 State and local governments are also addressing the issue of food waste by promoting composting, investing in research and data collection, and providing community education programs. The framework was published in November 2017. A comprehensive strategy will be developed over the next two years. Improving waste efficiency and diverting food waste from landfills. Increasing economic opportunities, including employment, through improved waste disposal programs. Increasing profits by converting more ingredients that are saved into saleable products. Reducing environmental impacts such as greenhouse gas emissions. Improving food security through the effective redistribution of surplus food. The Australian government has pledged to provide $1.37 million in funding to support a variety of programs designed to halve food waste by 2030. In order to move forward, further research and a specific plan of action are necessary. $1 million will be used to create an independent organization that will develop an implementation plan that recommends specific actions that can be undertaken to reduce food waste. The government will also create a voluntary commitment program that focuses on commercial and industrial food waste. $370,000 in funding will go toward the establishment of a National Food Waste Baseline, which will be used to monitor waste levels and track the nation’s progress toward its 2030 goal. In regards to business, the government has committed to identifying areas for improvement and investment, encouraging innovation, supporting technology adoption, and normalizing food waste considerations into business practices. It also aims to change the behavior of consumers and engage the workforce in food waste related projects. According to the FAO, around one-third of all food produced globally is lost or wasted. This costs the global economy around $940 billion each year. 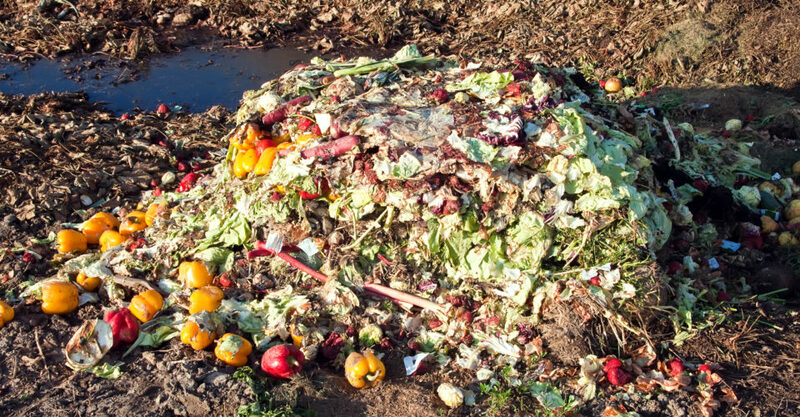 In Australia, food waste is estimated to cost the economy around $20 billion annually. Most lost and leftover food is added to landfills. Landfills emit significant amounts of greenhouse gases, particularly methane and carbon dioxide. While both gases contribute to global climate change, according to the EPA, methane is 28 to 36 times more heat-trapping than carbon dioxide. The Australian Foodbank Hunger Report 2017 states that over 650,000 Australians seek food relief each month. Much of the food that is wasted is fit for human consumption and could potentially be used to relieve food insecurity if alternative redistributive mechanisms were in place. In 2019, the government will evaluate the strategy’s progress and identify an approach for ongoing support for implementation. Food waste initiatives have gained major traction around the world in recent years. National programs that seek to reduce food waste include Canada’s National Food Waste Reduction Strategy, the United Kingdom’s Waste and Action Resources Programme (WRAP), the Netherlands’ No Waste Network, and the United States’ ReFED. Additionally, the FAO has created the global Save Food initiative.